Hey everybody! I just came back from one of the most amazing experiences of my life. My camp. I have no words to explain my feelings right now. It was simply amazing to just be surrounded by tens of other teens who were there to grow with me and inspire me and I them. Because when it comes down to when of the basic human traits that we all have, it’s that people change people. What you do can affect so many other. You can change other people. Obviously we need to focus on changing ourselves-but the amazing thing is that even when we do that we can STILL change people. We can inspire people, change them, help them, just by being us. My last night in camp was a memorable one. The thing that stuck with me is that strong idea that was just repeated over and over again by different girls in different words. How we all have something to share. 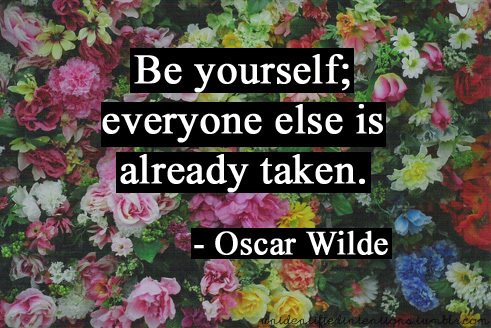 You just need to be yourself. You don’t need to try and change your town, your school, or the world. Just change yourself-after all each person is a world onto itself says the Torah. My camp expirience was very inspiring. It was the first time I got a chance of sleeping in the old city of Jerusalem on shabbos no less. I have no words to describe the multitude of feelings going through my heart. The only thing I can say was that I was inspired. Yes the old city inspired me, so did the speeches, so did the crazy hikes that showed us G-d’s amnazing creations- but the thing that inspired me most, truly was the girls. You don’t have to wear duty length skirts, nor have a kosher phone, nor say tehilim all day to inspire others. You don’t have to do all of halacha even. You can wear your tight skirts, no socks. You can watch your movies. You can go to sem or college or drop out- but no matter what you have something to share. You can inspire others, and even if it’s only one person-you can change a world-a person just by being yourself. Just by trying your hardest to stay on your path and do your tafkid whether or not your nisayon is to wear pants or a skirt in the morning, or to wear a skirt that is more tniyusdik- you can inspire others with your journey. In camp I got speak a little about making aliyah, and someone told me I really inspired her and how hard it must of been to share my expirience. I find that really funny cuz aliyah was crazy hard and I was depressed and suicidal for about a year but that’s actual the easy part of my life and was actually easy to share. I didn’t think I could inspire anyone with it, but apparently I can. The most inspiring parts of camp were girls my own age-each with their own struggles, ideas, opinions, and thoughts that shared theirs with me. Please, follow my blog on wordpress, facebook, twitter, or google plus.